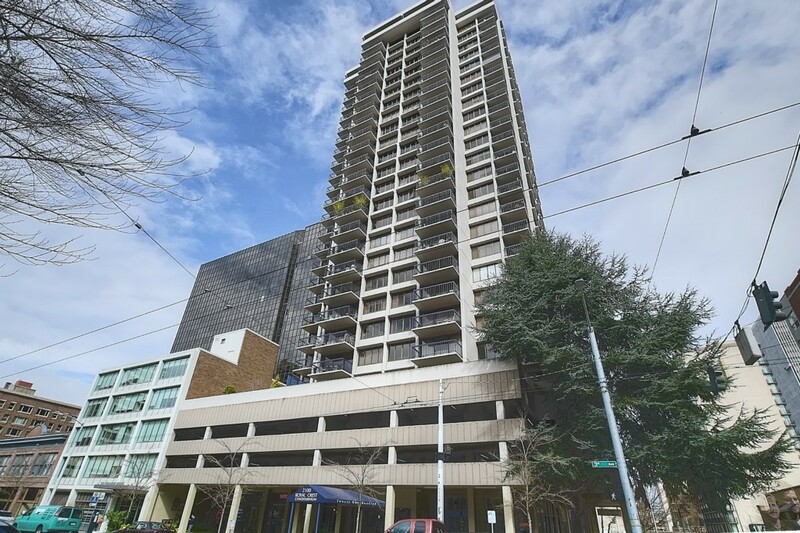 Built in 1973 Royal Crest Condos are located at 3rd and Lenora in the Belltown neighborhood of Downtown Seattle. 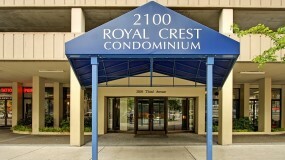 Known for its large floorplans, although often dated, Royal Crest provides functional and affordable floor-plans for its owners. 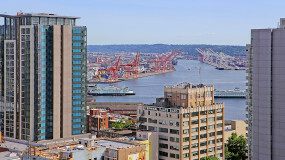 The concrete and steel building features 132 units throughout 26 stories. 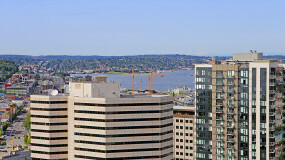 Many of the units offer great views. 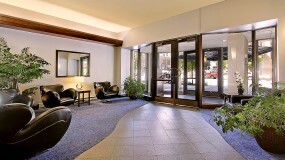 The amenities include a doorman, homeowners lounge, fitness facility, swimming pool and sauna.